Hear what our past couples have to say about us! Kyle & Rebecca // Private venue, Rotorua. Thomas was on everything throughout our wedding day, not missing a beat... or a shot. We knew he and his co-shooter were capturing everything but they did it in a way that didn't feel intrusive, which was important to us. Easy to deal with and delivered a great finished product!" Alex & Shinayd // Kumeu, Auckland. We had Thomas shoot our wedding in November 2017 - and the result was magical!!! In fact the entire process from me enquiring about his services to him delivering our videos was fantastic. He communicated well and promptly, he was friendly and bubbly and delivered our highlights video not long after our wedding at all which we were really surprised about because we know he must be busy! The actual video is beyond perfect - Thomas has the most stunning, artistic style with his editing. He gave us the chance to request things being added in/taken out to ensure certain parts of the day that were important to us were in the video - not something we expected, but truly appreciated! Hiring a videographer was something we weren't sure about doing, but I can't tell you how thankful I am that we have such a beautiful video to keep forever and look back on, reliving words spoken and reactions to something said that cannot be caught in the same way by a still photo! I'd highly recommend InTheFrame!! We got married in May 2017 and decided to work with Thomas. I get that it might be a small risk to work with someone who lives on the other side of the world, but we liked his work and Loey knew him personally. We had contact a couple of times over Facetime to get to know each other and to describe what we had in mind. Thomas was very professional in coming with his own ideas, respecting what we wanted but also to challenge us. He arranged a local second shooter and came a couple of days before to scout the area. On the big day his experience with weddings was really of benefit to us. Thomas is easy to work with and works well with the other guests. And we absolutely love the end result! Thanks for taking the time to navigate through a wedding in a foreign language and for taking the time with us! Thomas from INTHEFRAME where do I start. We have known each other 13 years. I first approached you not long after already having booked photography for our wedding. Having my fingers and toes crossed that you would travel a across to film our wedding and of course not already be booked on our day. After seeing your work I can't thank you enough for coming all the way over the ditch to Australia. I'm mind blown. The film is out of this world and something we will treasure forever. We both feel so privileged to have had you apart of to us one of the most important parts of the best day of our lives. We love your work and it's well worth every second we waited for the video! Can't highly recommend you enough! We literally felt like we were right back there re-living the day that was the best day of our lives and even better to have this to keep forever. 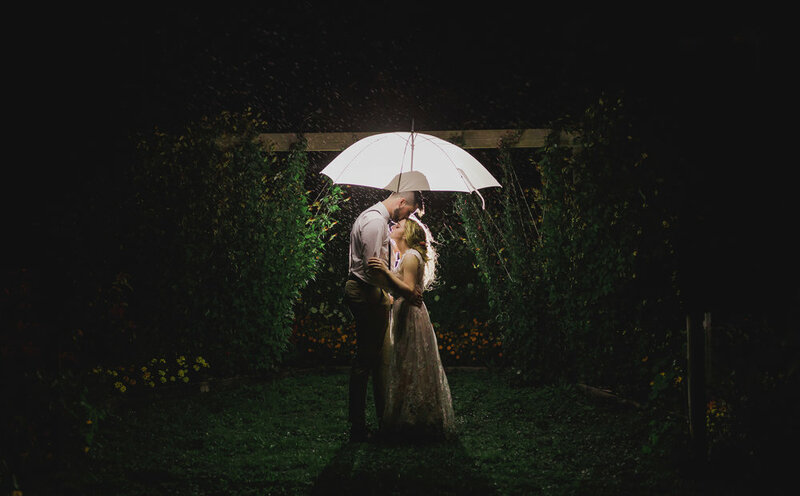 "Thomas from Intheframe was absolutely amazing to have on our big day. He is extremely passionate about what he does and you can truly see that on the day and in the final product as well. He is friendly, enthusiastic and was able to capture everything perfectly. The photos we received look incredible! He exceeded our expectations and the photos really show what the day was like. Once again, thank you for how much work you put into everything!" Thank you so much Thomas for making us a perfect video of our wedding!! We were so impressed with not only the video, but with you on the day. With a relaxed yet highly professional manner, you made us feel so at ease with the camera being around! All our guests loved you also, and thought you did an amazing job! Our highlights video showcased the best parts of the day perfectly, we couldn't have asked for a better person to fit in with our day! The magical atmosphere of our wedding day comes alive in our hearts and minds every time we watch the incredible video crafted by Intheframe Media. There’s nothing like video to make it all feel real again, taking us back to the most special moments of our wedding. When looking for a wedding videographer, Intheframe was the only one we found which looked to tell a story artistically through words spoken on the day, with stunning supporting videography rather than just chronological footage with a backing track, which was why we started speaking with them. We were really impressed with the video created and it has had wonderful feedback from family and friends. Thomas and his team were lovely, professional and creative in their liaison with us and in the creation of the video content. We highly recommend Intheframe to capture your wedding day. Hiring InTheFrame to video our wedding was one of the best wedding decisions we made. When we first started wedding planning, we didn’t think videography was that important. We were so wrong! We clicked with Thomas straight away, his fun and easy going personality made us feel right at ease. He listened to what we wanted and took the time to get to know us. Thomas and his team captured the wedding day perfectly, we absolutely loved the final product. It is truly amazing to be able to relive the excitement and the emotions of our special day over and over again. Our family and friends who couldn’t attend the wedding were impressed with the quality of Thomas’s story-telling video, they commented on how they felt the emotions as if they were present! We would highly recommend InTheFrame, thank you Thomas! We hired Thomas to be our photographer for our wedding in November last year. We both loved thomas' story telling style and after our first Skype call we knew we had our guy. We instantly warmed to Thomas' great sense of humour, ability to make us feel comfortable and confident in the daunting world of planning a wedding, and his obvious passion for what he does! On the day Thomas and his second shooter were fantastic! Thomas took care of the boys while they got ready, they raved about him being hilarious and yet professional, and organised them brilliantly. At the ceremony and reception Thomas continued his professionalism and personable personality, getting us through all those family shots and took the bridal party on an epic bridal shoot. We had so many comments from guests about how awesome they thought he was! Our photos have arrived and we are both simply over the moon with what Thomas has produced for us. Absolutely amazing, magical moments and memories that he captured perfectly and we will treasure forever. Thankyou so much Thomas, I couldn't recommend you highly enough!!!! Awesome!!!! We got married in November 2016 & had InTheFrame video our wedding day. The video coverage that Thomas & his team took for us is something we will forever treasure. The moments they captured are beyond monetary value. For me, seeing & hearing my husband choke up as he made his promises & vows to me, hearing my father pray over us as a new family, seeing my family & loved ones their in that moment sharing this chapter with us, is something that will be generationally treasured and is absolutely priceless. The way they captured our story, with such a raw & natural feel, will forever allow us to step back in time to re feel & experience our wedding day & that love over & over. Seriously, we can’t recommend booking these guys enough. Thanks again so much Thomas and team. Not only was the final product beyond what we could have imagined, we are also so thankful for your encouragement, support and friendship throughout the entire process. You guys are legends! One of the main reasons Reece & I originally wanted a wedding video was because so many members of my family live overseas and couldn't attend our wedding. Thomas and his team have given us one of the GREATEST WEDDING GIFTS by capturing our day and allowing us to share it with loved ones! The video brought tears to my eyes when I watched it and it was obvious how much hard work had gone into creating it. What surprised me the most was how many key moments of the day Thomas was able to piece together into a video. Now Reece and I can relive our beautiful day over and over again. They say on average, it takes about 200 hours to plan a wedding, after filling in all those spreadsheets, late nights of sticking stamps on envelopes and researching venues, it is an investment to pay for a wedding video! Huge thank you to Thomas and your team! My husband and I couldn't be happier with Thomas and his team. They captured our special day perfectly. They listened to what we wanted and then over delivered. The ingenuity the team has is amazing and to top it off the work was of a great quality. What I loved the most was they managed to meet all our needs and then put their own spin on it because at the end of the day they know what is going to work and look the best. Thomas understood what I wanted but he assured me to just trust his knowledge and let him do it in his own way - I am glad I did as he definitely knew what he was taking about. Thanks again guys - we recommend you whole heartedly. Slade and Lauren King. We're so glad Thomas and Issac got our big day in the can. Having two videographers and four cameras made our ceremony and reception extended cuts come to life, capturing moments we'll relive every anniversary. Thomas also went the extra mile for us on the highlights video and was open to collaborating to get it exactly the way we wanted it. Thanks for a job well done! Thomas was really easy going and fun to work with and we were really happy with the end result. He has a unique style and captured our wedding beautifully. He was also flexible with the footage inclusions and our own personal style, which we are grateful for. Thanks Thomas! We are so glad that we decided to get videography for our special day, Thomas you did such a fantastic job! We are not lovey dovey at all and you captured our day exactly as we are as a couple! I could not recommend you more highly, your work is flawless and you were such a gem to work with, thank you for capturing our moments for us to look back on for years to come! Thomas from In The Frame media is someone I can recommend without any hesitation. From the moment he arrives on scene you know he has a vision for your wedding video, and is thinking of all the shots to pull together an exceptional piece. He went above and beyond on the day and after to accommodate our requests, and left us extremely happy with the end result. Thomas and his team were very professional & responsive throughout the planning process. On the day of our wedding we barely noticed they were there and now have a lovely reminder of the whole event. Getting the day filmed by In The Frame was one of the best decisions we made. Thanks In The Frame! Laz and I would like to thank Thomas and his team for the amazing job they did during our special day and the week leading up to it. Thomas you were extremely professional and went beyond the extra mile required as a videographer. We loved how you took the time to come and meet the wedding party before hand and got to know our different personalities and adapted to our sense of humor. We will treasure our video forever. Thanks again. Nicki and laz. From the second we began planning our wedding day, our dream was to ensure every special moment was captured. After a number of our friends had shown us short clips of weddings caught by Intheframe, there was no way you could have convinced us to pick another cinematographer. Needless to say, Intheframe exceed all of our expectations. Thomas and his team did an outstanding job filming our special day and beautifully creating a cinematic piece. The film of our wedding takes us back to the day every time. 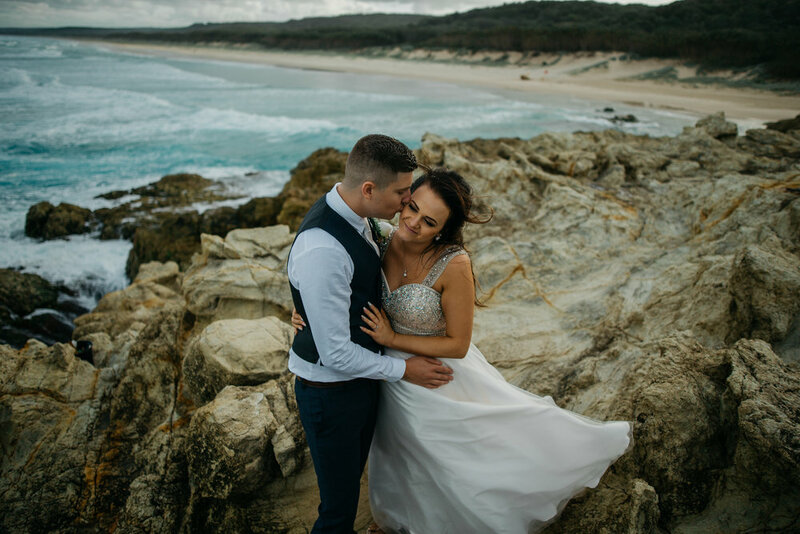 Everything about it is so perfect and we cannot thank Thomas from Intheframe enough for what you have done for us, On top of all that Thomas kept in close contact leading up to our big day and was extremely supportive throughout the preparation journey. We are truly blessed by your great work, thank you so much! We really loved the video we got from Thomas at Intheframe, it was awesome and really captured the feel of the day. During the filming he was really easy to work with and the whole time the cameras were really unobtrusive which helped things go smoothly. Thanks for the great work!